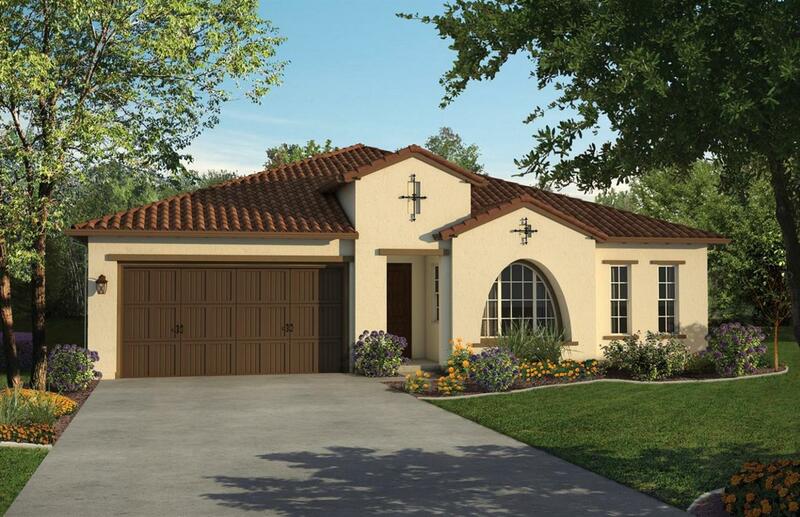 Popular Single-Story Acacia Plan in beautiful Crowne Point by Tim Lewis Communities. Home features 12' ceilings at GR, Master Bdrm Suite with Retreat and slider to outdoor room. Spa-like Master bath with dual vanities, over-sized shower and soaking tub and large walk-in closet. Front den with double solid core doors. Kitchen features gray shaker cabinets and beautiful quartz counters and island. Upgraded tile, carpet and hardwood throughout. Photo is an artist rendering representing plan and elevation of home. See Sales Agent for specific features. Listing provided courtesy of Tim Lewis Communities. Listing information © 2019 MetroList Services, Inc.